26/05/2016�� If you like the comic, help support the companies that make it by grabbing yourself a copy. 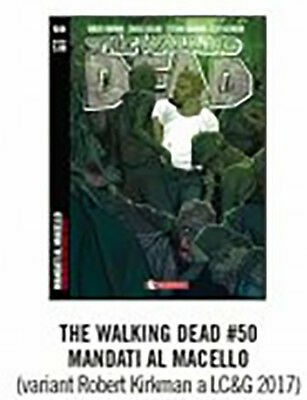 :D :D All rights go to Image Comics, Skybound, Robert Kirkman, Tony Moore, and Charlie Adlard.... To celebrate writer Robert Kirkman and illustrator Tony Moore's landmark 150th issue of 'The Walking Dead,' we've collected the most stunning covers from the series, running 12 years and counting. To celebrate writer Robert Kirkman and illustrator Tony Moore's landmark 150th issue of 'The Walking Dead,' we've collected the most stunning covers from the series, running 12 years and counting.